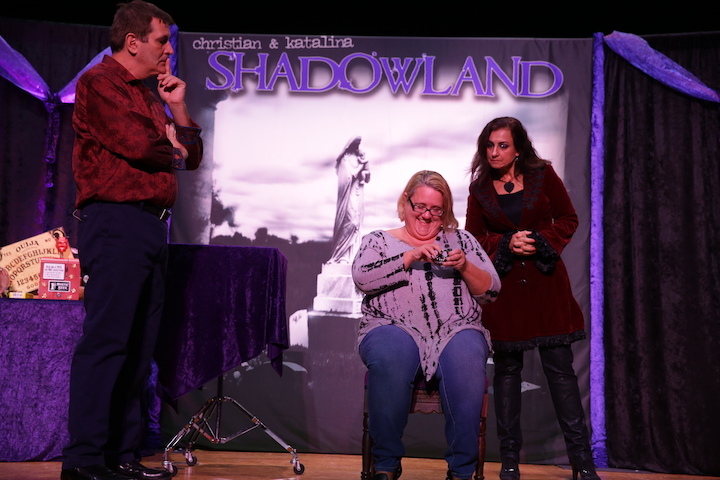 We had a wonderful time performing our ghost show called Shadowland at Theater at the Fort this past October. 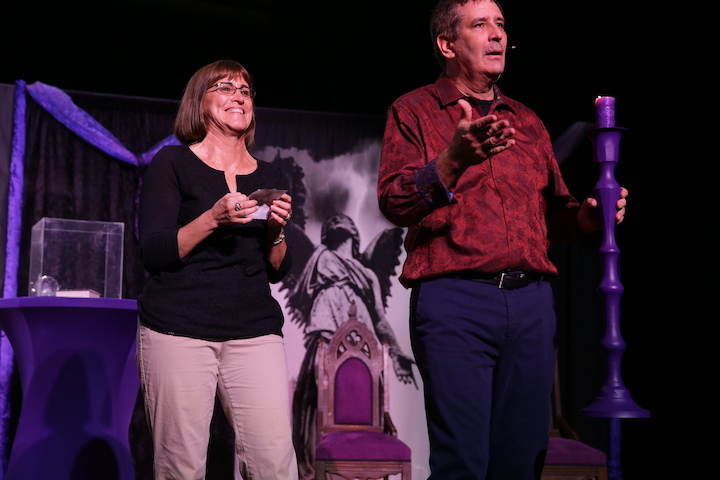 Our show is a combination of local ghost stories such as the Tuckaway House and Central State Hospital with audience participation so you bring the ghost stories to life. And you will still see the same Christian & Katalina banter back and forth and the fun, clever humor that is Christian’s strength. And this year we were in a new location: Theater at the Fort. 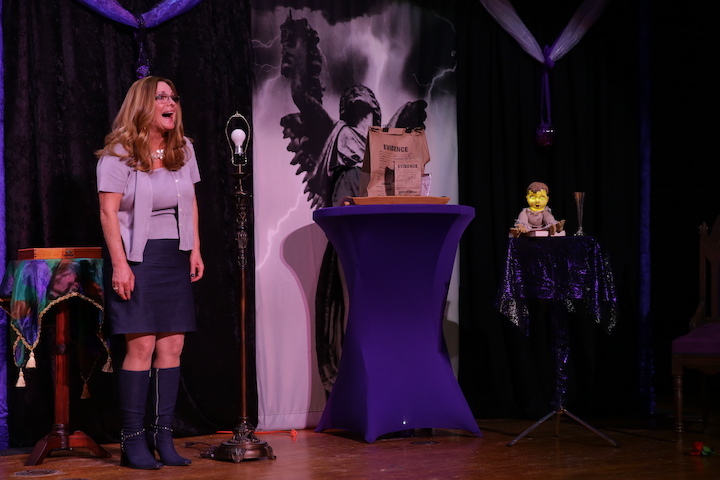 Picture the setting for Shadowland: An old Army Theater brought back to life. Being veterans ourselves, it was a treat to be in this historic building on the site of Fort Benjamin Harrison which Judy Byron, Executive Director, spent the past year renovating.